Sixty years of academic collaboration and thirty years of commercialization by an international network of small businesses have delivered a mature technology of computational materials design and accelerated qualification grounded in a system of fundamental databases now known as the Materials Genome. Two computationally designed aircraft landing gear steels have already been taken to full flight qualification employing this technology. The announcement in 2011 by the US President of a national Materials Genome Initiative acknowledging the reality of this technology has spurred global interest and rapid adoption by US apex corporations. Designed materials with broad market impact now span a range from consumer electronics to space exploration. The US CHiMaD Center for Hierarchical Materials Design is expanding the capabilities of proven CALPHAD-based design with applications spanning inorganic and organic systems, while exploring new opportunities in high-throughput experiment and theory aided by novel data analytics. A major focus of current application is the rapid development of the new alloys enabling the much-desired technology of additive manufacturing, with adaptation of the AIM methodology to accelerate qualification of printed components. A research-supported hierarchical project coaching system has enabled multiyear interdisciplinary materials design education activities from Freshman to doctoral levels. 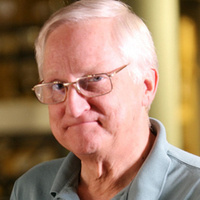 Greg Olson is Walter P. Murphy Professor of Materials Science and Engineering at the McCormick School of Engineering and Applied Science at Northwestern University. He is Co-director of the NIST-supported CHiMaD Center for Hierarchical Materials Design, Director of its SRG Design Consortium, and is a founder of QuesTek Innovations LLC, an internationally recognized leading materials design company. A member of the National Academy of Engineering, the American Academy of Arts and Sciences, the Royal Swedish Academy of Engineering Sciences, and a fellow of ASM and TMS, he has authored more than 300 publications. He received a BS and MS in 1970 and ScD in 1974 in materials science from MIT and remained there in a series of senior research positions before joining the faculty of Northwestern in 1988. Beyond materials design, his research interests include phase transformations, structure/property relations, and applications of high resolution microanalysis. Recent awards include the ASM Campbell Memorial Lectureship, the TMS-SMD Distinguished Scientist/Engineer Award, the Cambridge University Kelly Lectureship, the ASM Gold Medal, the TMS Morris Cohen Award, and an honorary doctorate from KTH-Stockholm.